The journey people take when they ask for an assessment from social work is called their Self Directed Support Pathway. This outlines the different steps someone will take when applying for Self Directed Support. The diagram below shows a person's pathway. Step 1 is identifying you need support. You might identify this yourself or sometimes it might be a friend or a relative that suggests you need support and you contact social work to ask about support. Step 2 is your first contact with social work and this will be with the contact centre in Fife. They will take your details and ask you a bit about yourself and your support needs. This information will then be passed on to a team that covers your area. Step 3 is the first appointment with a social worker when they will check if you are eligible for support and start to look at what kind of support you might need. He or she will have a conversation with you to build up a picture of you and your life so they can work out how they might help you. It might take a few visits to complete the assessment. Step 4 is the support planning stage. If you are eligible for Self Directed Support you will then be supported to produce a plan for how you want your support provided. You will decide if you want a care provider to provide your services, if you want a personal assistant, if you want to attend a day centre, if you want to purchase a service or equipment and more. You will be supported through this stage either by your social worker or another member from social services to prepare your support plan and make sure it's right for you. Step 5 is agreeing the final support plan. The professional who helped you prepare your plan will have typed it up and show it to you so you can check that you are happy with it before it is submitted for approval. Step 6 is getting your support in place. If your plan is approved and social work is happy with how you plan to spend the money then you can get going with following your plan and getting the support you need. Step 7 is the review process. After a time, there will be a review to check the plan still meets your needs or if there are any changes to be made. 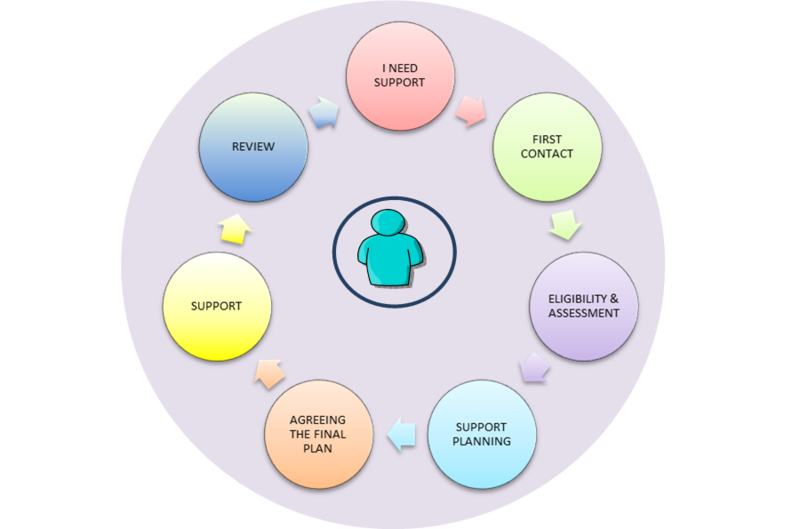 When you first receive Self Directed Support you might get a review after 6 months to check there have been no issues implementing your support plan but then followed by yearly reviews.